This site is about the adventures and discoveries of The Strollers, a group of Labradors who came together in London and then moved to Kent. We are explorers, who are fascinated by the landscape where we walk. That’s why we do so much sniffing. The group was formed by me, Otto, because I determined to be on the move as often as possible after I was born on Friday, 16 August 2002 until my unfortunate departure due to a virulent kidney cancer on 16 October 2013. My accomplices and successors are mainly Denzel (The Colonel), his sister Margot (Mumpy) & Dallas (the Duchess Daldal), but we are often joined by others. One of a litter of seven bred by the inestimable Barbara Rumsey of Morris Green Farm, Morris Green, Sible Hedingham, Essex, I myself had four sisters and two brothers. I can only imagine Tarradiddle was chosen as the name for her kennels because of its links to fable and fairy tales. Barbara loved a tale. Tarradiddle’s other meanings – falsehood, falsity or fib – could never be ascribed to the punctiliousness with which Barbara bred Labradors like me. Whatever, when I was chosen by the people who would become my constant companions, Roger & Louise called me simply Otto. Well, at first at least. I was to gather many names as times moved on, but more of that later. The name Otto apparently was chosen after much agonising over a short name that would fit with the temperament they had seen when they chose me as theirs. All I was doing was carrying around a plastic plant pot on my nose and trying to bury it in a hay bale in our whelping room, but this was somehow taken as an early sign of independence and strength of character. The name apparently jumped out while they were watching the title credits of Insomnia – a passable remake of a Scandinavian film about two Los Angeles homicide detectives dispatched to a northern Alaskan town where the sun doesn’t set to investigate the methodical murder of a local teen. It starred Al Pacino, as a cop whose career back home in California is under question, and who is losing it in Alaska because he can’t sleep. Roger & Louise must have closed their eyes because I have scoured the credits more than once and the name Otto doesn’t appear there at all! There are a couple of assistants and a grip with the name Scott, but absolutely nothing else remotely resembling Otto. Any way, to cut to the chase here: with name applied, the three of us – and others who I will introduce as we go along – have travelled many miles: physically, intellectually, emotionally and spiritually. And what I have learned from the experience is that humans can be hugely intelligent. A lot can be learned from them, and our eyes can be opened to things we may not have been aware of otherwise. In no particular order, these are our journeys together and separately. Whilst perusing the internet for any mention of Tarradiddle labs I came across this! I had a lovely chocolate lab, Biscuit, Tarradiddle Russett, sadly no longer with us, but she also had Rhumba as her mum. She was born in 2000. Cracker, Tarraddiddle Tweed, a yellow, is my remaining Tarradiddle lab. Sadly Barabara passed away soon after I got Cracker in 2008. There’s not much about Tarradiddles online so it was really nice to see this! 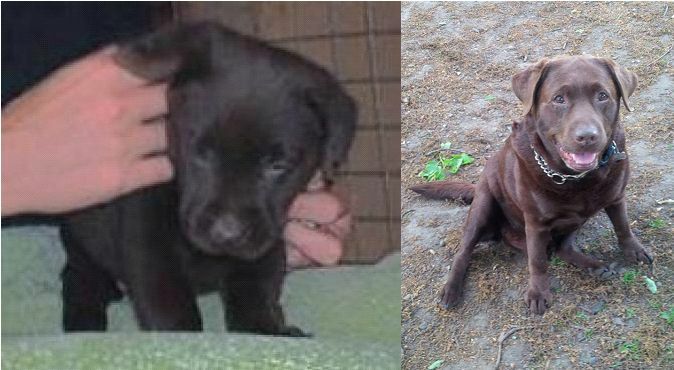 Tarradiddle Tweed was one of a litter of five puppies born on 11/4/2008 to Thurbajen’s June Maid and Cornlands Perseus. When Barbara died, I adopted TJM (known as Morgan) along with another of Barbara’s beautiful Labradors called Lancelot through the Cinnamon Trust who she had asked to look after her animals. Morgan is now 13 but very happy although she is rather deaf and I am so pleased to hear about one of her puppies. I have the Litter Registration Certificate and that is how I knew that Tweed was Morgan’s puppy. Unfortunately, Otto stopped moving on 16 October 2013 when he was taken from us by a virulent kidney cancer. He is sorely missed, but his writing has been taken over by his siblings Margot & Denzel, who will be picking up their quills on Otto’s behalf.